Is website loading time affecting your bottom line? Today’s online users have a zero tolerance philosophy when it comes to slow loading times and insufficient website performance. Gone are the days where users ‘put up’ with their frustration, with businesses loosing visitors to competitors when their website underperforms by even a matter of seconds. Although a minimal differentiator by all accounts, this time lapse can mean the difference between business and referrals, or the loss of a potential sale, as websites prove to be the chief port of call for the majority of sales leads and enquiries. While you’re probably aware of the impact site speed has on usability for website visitors, you may not have determined what could be affecting your poor site loading times. Together, let’s take a look at exactly how your business is affected by poor website loading time. Your business success hinges on your websites ability to convert visitors into leads and customers. People tend to view their conversion performance as a reflection of their website’s visual features such as landing page structure, calls to action, headlines and overall design. Of course these elements play a large role in converting visitors, but they are irrelevant if users leave a page before they even have the chance to see the visual aspects of your page. According to the Aberdeen Group (American technology company), a one second delay in load time can result in a 7% loss in website conversions. Today, every business action must be backed up and it’s value demonstrated to business managers and owners. Website performance is no different. According to Google, even slowing down website speed by four tenths of a second can result in the exclusion of 8 million searches and subsequent revenue loss, despite your best efforts to optimise your webite. There are many factors that determine your websites search engine ranking and speed is one of them. While it isn’t a predominant SEO factor, it can certainly help to drive your site higher up in online search pages and increase website traffic. Googlebots crawl your site and responsive, speedy websites enable efficient indexation, crediting them with greater organic search performance. Before diving in to start making changes towards achieving website speed optimisation, you need an accurate measure of your current website performance to assess the development. Whether you’d like to compare site speed on different browsers or in certain locations, there are various testing tools available. Google's PageSpeed Insight Tool for instance, analyses web page content and provides actionable suggestions to make improvements. Achieving an optimised website that functions effectively and is visually appealing is a costly, time consuming project. Not every business will have large disposable resources for website optimisation, but there are a few image optimisation techniques you can adopt if time and money aren’t in your favour. Website loading time is often slowed up by large, unoptimised images. When approaching images, you need to concentrate on three aspects: size, format and the src attribute (image URL). Oversizing and the overuse of images are the prime causes of slow website loading times, with high quality images the predominant culprit. Rather than having visitors download the same content every time they load a page, a guaranteed way to improve website loading time is to send cached copies of the content to a site visitors’ browser. Web caching enables the temporary storage of content that can be easily retrieved upon a users demand. Although plugins improve website functionality, the effect can be twofold, with expansion of backend features affecting loading times. While the number of plugins isn’t directly associated with slowing site speed, it’s worthwhile taking the time to analyse which plugins are well-developed and scalable. Website loading speed can be greatly damaged by even one low-quality, complicated plugin that carries out complex actions and performs remote requests. Some quick loading websites have more than 80 plugins because they concentrate on plugins that are of a high-quality from credible providers. Redirects generate extra HTTP requests that increase website loading time, which is why you should keep them to a minimum. If you have an adaptive website design, there’s a good chance you have re-directs set up so that mobile users are navigated from the desktop website to a site optimised for their screen size. Google advises using HTTP redirects to eliminate any transitionary redirects so that mobile visitors are sent straight to the mobile URL. As outlined above, seconds make the difference, not only to your website’s optimisation, but also to your potential sales leads. 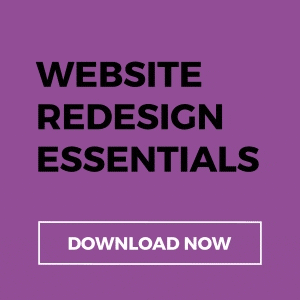 You can no longer afford for your website to be bogged down by unoptimised images and files. Your users expect your web pages to load fast, and if left underwhelmed will look to competitor sites for more efficient and convenient viewing. As such, the faster the speed of your website, the happier your visitors will be. Hence, optimising page load times leads to noticable improvements in customer experience, conversion rates, and ultimately, sales revenue.